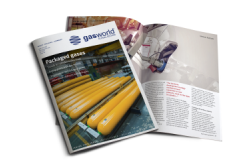 The final agenda has been announced for gasworld’s Europe Industrial Gas Conference, taking place at the Hilton Hotel in Düsseldorf from 20th-22nd June, 2016. 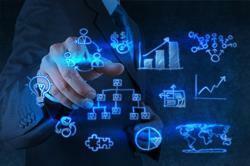 The event, entitled ‘Carving Out Growth,’ will see leading industry specialists – including a mix of analysts, economists and intelligence experts – address the hot topics in the European gases business in 2016 and will identify where opportunities and innovation exist to carve out future growth. The Pre-Conference Welcome Reception and opening of the exhibition area will kick start the event on Monday 20th June, providing valuable networking opportunities. The two-day conference proceedings commence on Tuesday 21st June. The morning session will focus on setting the scene in the European industrial gases market. 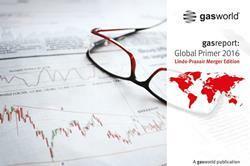 After an official opening and welcome from gasworld CEO and founder John Raquet, Dr. Michael Glaschke & Dr. Claus Benkert from McKinsey & Company Inc. will take to the stage to discuss the industry drivers in Europe. 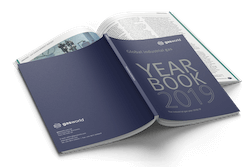 Following this, gasworld Business Intelligence’s James Barr will be providing an in-depth update of the European industrial gas market in 2016 and beyond. 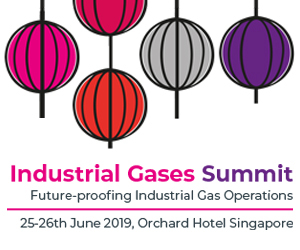 In addition, there will also be a discussion on the industrial gas investment view by Tim Jones, Managing Director of Deutsche Bank. Delegates will then be treated to a networking lunch, as well as valuable exhibition time in the dedicated promotional booth space housing 29 contact booths. The afternoon session, chaired by Bernardo Sestini, Managing Director of SIAD, will move the discussion to the hot topics within the region. Beginning with a presentation on research and development, delegates will hear why industrial gas innovation is essential from The Linde Group’s Managing Director of UK, Ireland and Africa, Sue Graham Johnston. Chart Ferox’s liquefied natural gas (LNG) Systems Sales Manager, Jan Kurel, will then take to the stage to discuss the distributive LNG opportunity in Europe. Two of the most prominent gas associations within the region will round off the afternoon, with European Industrial Gases Association (EIGA) General Secretary, Phil Brickell, and British Compressed Gases Association (BCGA) Chief Executive, Doug Thornton, both addressing the hot topics in the region as they see them – from safety and compliance to 21st century challenges. Day one concludes with a special VIP Conference Dinner, sponsored by platinum sponsor Herose GmbH, allowing attendees to network and enjoy delicious entertainment, wrapping up the day’s proceedings in style. The evening will provide a great opportunity for delegates to network, whilst also enjoying delicious food, drink and entertainment. After dinner speaker Prof. Dr. Belloni, former Linde AG Executive Board member, will impart his esteemed insights at the event. Day two of the conference will concentrate on the foremost growth drivers in the region. Aldo Fumagalli, Chairman of the SOL Group, will focus on healthcare and homecare, while Marius Gorczyca, Director of Sales and Marketing at ASCO Carbon Dioxide Ltd, will be presenting the carbon dioxide (CO2) applications driving growth in Europe. The morning session will also cover developments in the hydrogen (H2) economy and its future potential via European Hydrogen Association (EHA) Chairman, Ian Williamson, and the increasing focus on the environment and its technologies in the gases industry via Antoine Mazaz, Managing Director of Air Liquide Advanced Technologies GmbH. The conference will come to a close with a special session dedicated to innovative technologies, chaired by Prof. Dr. Aldo Belloni. Companies presenting within this session will include the Messer Group, Lydall, Industrial Gas Project House (IGPH), Union Engineering and HyGear. 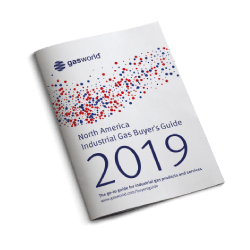 In addition to two packed days of conference agenda, gasworld will be welcoming people to its exhibition area, boasting 29 exhibition spaces filled with the industry’s key players and providing valuable networking opportunities. If you’re not looking to attend the full conference, take advantage of our free exhibition pass giving you access to the exhibition area! With less than one week until the event - time is running out to secure your place! 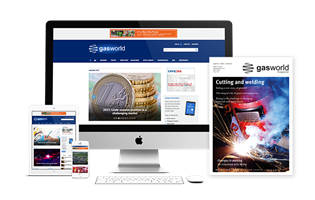 gasworld’s Europe Industrial Gas Conference kick starts tomorrow in Düsseldorf, Germany, with more than 180 industry professionals beginning to gather at the prestigious Hilton Hotel for a cutting-edge agenda of discussion and debate. 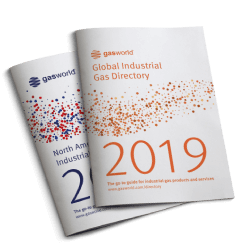 Day two of gasworld’s Europe Industrial Gas Conference commences in Düsseldorf, Germany this morning, with growth drivers and innovative technologies across Europe in focus. 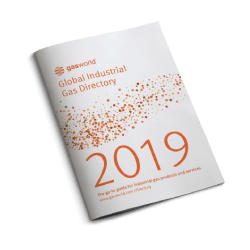 gasworld’s Europe Industrial Gas Conference is getting underway in Düsseldorf, Germany, discussing and discovering innovative areas in which to generate growth across the region.